Since I’m getting ready to share this game in first grade tomorrow, I thought I’d share it with you, too! 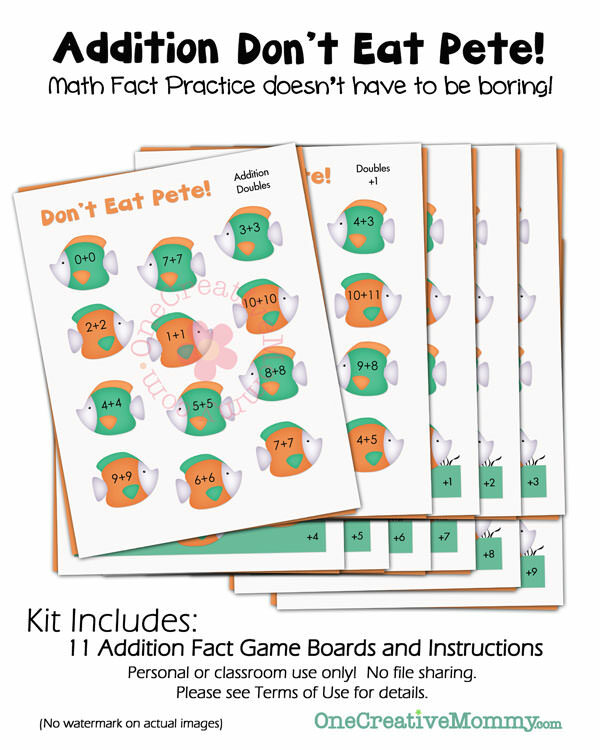 Whether the kids are new to addition or need a review after summer break, Addition Don’t Eat Pete is perfect for children in K-2nd Grade. This game is sold in my store for $2.50. This game is now free for everyone! Kids who have memorized addition facts definitely have an advantage when it comes to math! Learning these simple facts first makes learning difficult math much easier! 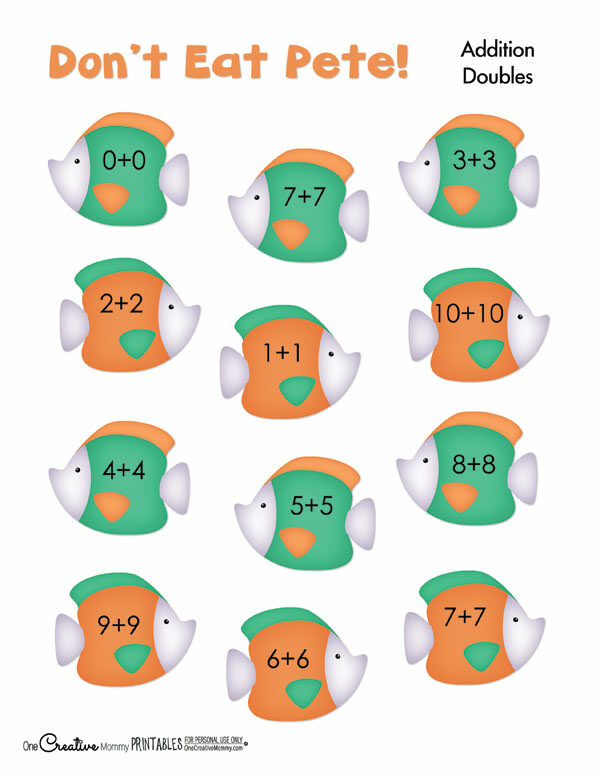 Quickly recalling addition facts allows kids to solve more complicated problems as they get older. 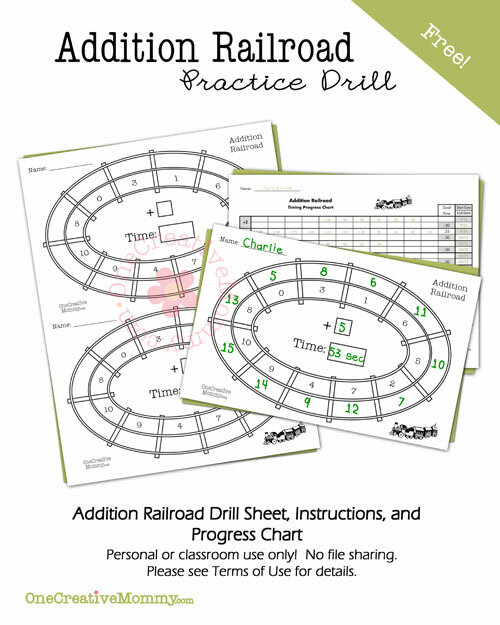 If you have an advanced kindergartener, a first grader, or a second grader who needs a review, this kit is right for them. Here’s an example of one of the pages from the kit: Addition Doubles. 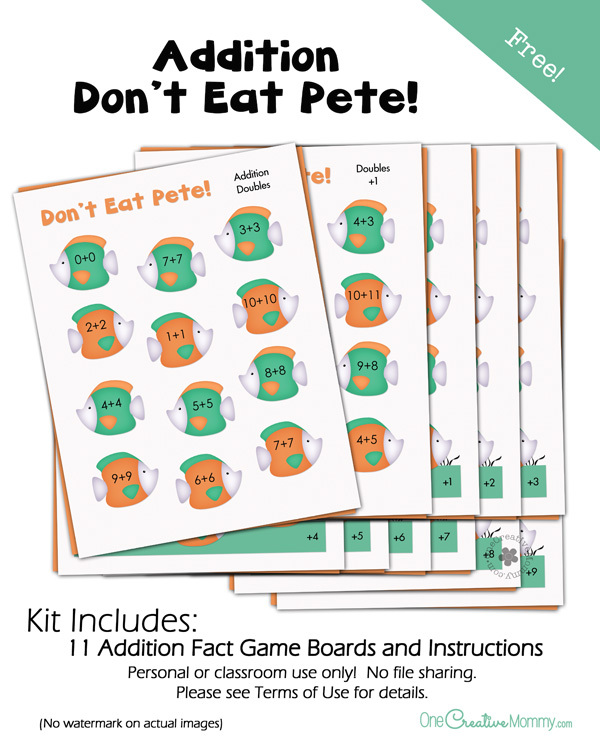 To learn more about my “Don’t Eat Pete” games, visit this post. I hope your family loves Don’t Eat Pete! Click the download button below to download the free Addition Don’t Eat Pete Kit. Want more Don’t Eat Pete? 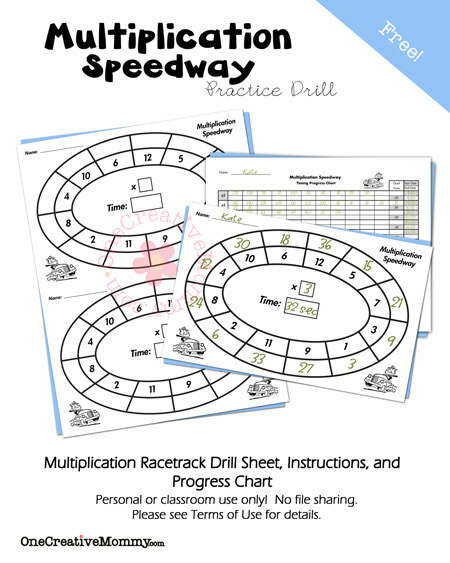 I also have games for Multiplication, Division, Number Recognition, Shapes and Colors, and Phonograms. *This post was originally published March 23, 2012 and has been updated to include new pictures to change the download to free! Keep up the great work, love these! Thank you for linking up to the Bloggers Brags Pinterest Party. I have pinned your post to the Bloggers Brags Pinterest board.